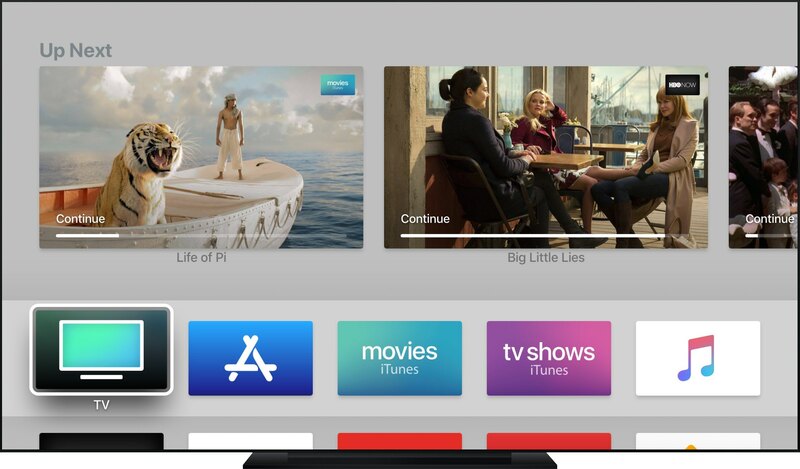 If you have multiple Apple TVs in your household, you can set them to share exactly the same Home screen layout and use the same set of installed apps, here’s how. Called “One Home Screen” and supported on tvOS 11 and later, this lets you keep any installed tvOS apps and Home screen appearance synchronized across every Apple TV you own. 1) Open the Settings app on one of your Apple TVs. 2) Navigate to the Accounts → iCloud subsection. 3) Set the toggle One Home Screen to “On”. “Keep your apps and Home screens up to date across every Apple TV using this iCloud account,” reads the feature’s description. And that’s all there’s to it! You should now have the same Home screen appearance and installed apps for each Apple TV in your household. I’m liking this feature a lot—it does unify my home media experience. 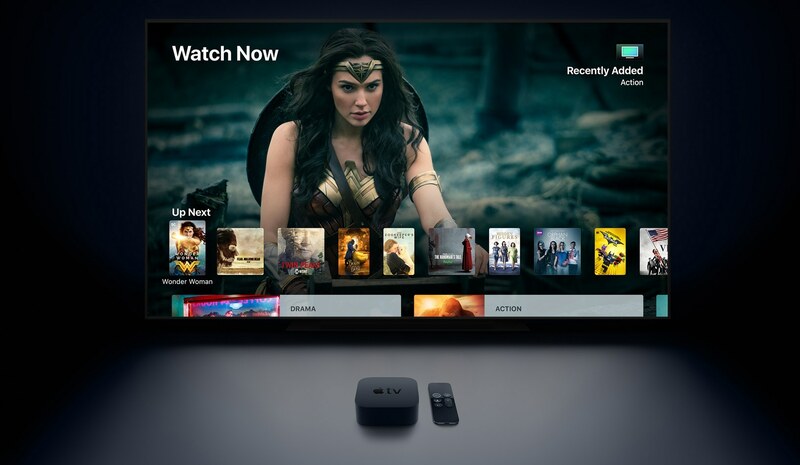 Now I can seamlessly switch, say, between an Apple TV in my bedroom and one in the living room knowing all of my installed apps and Home screen organization will be perfectly synchronized between them and across as many Apple TVs as I happen to own. Issues with One Home Screen? 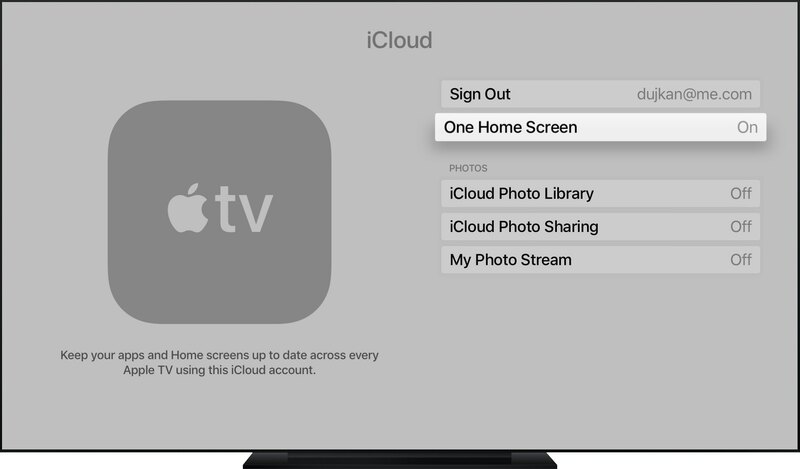 As mentioned, One Home Screen requires you be signed in with the same Apple ID account in Settings → Account on every Apple TV you wish to keep in sync. Suppose you’ve created a new folder on an Apple TV in your living room or moved a YouTube icon to the top of the Home screen. tvOS sends your actions to iCloud which in turn sends the changes to an Apple TV in your bedroom and to all of your other boxes. If one of your Apple TVs has fallen out of sync, you may want to double-check that it’s using the proper Apple ID account in Settings → Account like your other Apple TVs. Also, be sure the device has network connectivity and that iCloud services are not offline.